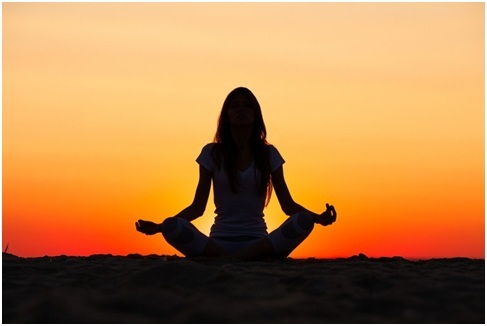 Yoga is a very ancient Indian practice, believed to be around 4000 years old. Its name is derived from the Sanskrit word ‘yuj samādhau’ (to concentrate). It is one of the most popular ancient disciplines to help humans form a connection between the spiritual, mental and physical body and according to some cultures, even form ‘a union with the divine’. Yoga holds multiple benefits for people of all genders and age, and can be a key to a healthy lifestyle, not just physically, but mentally and emotionally as well. Yoga is not just limited to the Indian roots today. It is practiced and benefitted from all over the world under many different names and forms like Bikram Yoga, Hatha Yoga, Power Yoga, Iyengar Yoga, etc. There are also those who wish to begin, but cannot get themselves around it either due to a busy lifestyle, or the uncertainty due to unfamiliarity of this genre, or just due to lack of good yoga advice. There are various certified teachers who make yoga simple for you. Here are the 5 reasons why you should start your first session right away. Yoga helps a great deal in the overall well-being of the body. It not only stabilizes the pulse rate, blood pressure and the nervous system, but also improves the digestion system and the respiratory system. This results in better eye-hand coordination, better strength and grip, improved breathing and functioning of the other body parts. Yoga prevents dullness of the mind while helping to concentrate better and improving memory, attention span, learning efficiency, and perception. This science also improves your mood, curing depression, and anxiety problems. Practicing yoga boosts self-confidence and increases self-acceptance. Yoga is considered great for immunity. Due to the improvement in the respiratory system and better breathing, cold and allergies are prevented. Even if someone catches common cold or any other diseases, the recovery period improves. Due to better digestion, gastric troubles and other related troubles are kept at bay. When the body’s overall immunity increases, even serious diseases like cancer and heart attacks have a very low chance. Metabolism and weight loss are related. Yoga increases lean muscle, and hence triggers fat burning process. It also gives a huge energy boost and keeps you active all day. Thus, due to increased metabolism, it helps optimize your weight, giving you a light feel all the time. Yoga helps you release your stress through different postures. It soothes your mind, and helps you find peace within yourself. Even when you are practicing yoga for different body parts, your mind is in complete harmony with your body, relaxing you, and in turn giving you a more peaceful and worry-free sleep. Apart from the above benefits for your health, yoga also increases flexibility through a wide range of postures. This gives you good physical balance as well as a graceful body language. Charles puts health on the important side of your life to never bring compromise to it. He also explains the several benefits that yoga can bring to your daily life if you practice it every day.